The beauty of cocktails, much like the beauty in recipes, is that there are nigh-on infinite recipes that you can create. Even without any amount of training, you can take base cocktail recipes that you enjoy and start tweak them with flavors, textures, and spirits that you like. A perennial favorite around our house is the Moscow Mule, one of the simplest but enjoyable classics that you can still easily find at your local speakeasy. 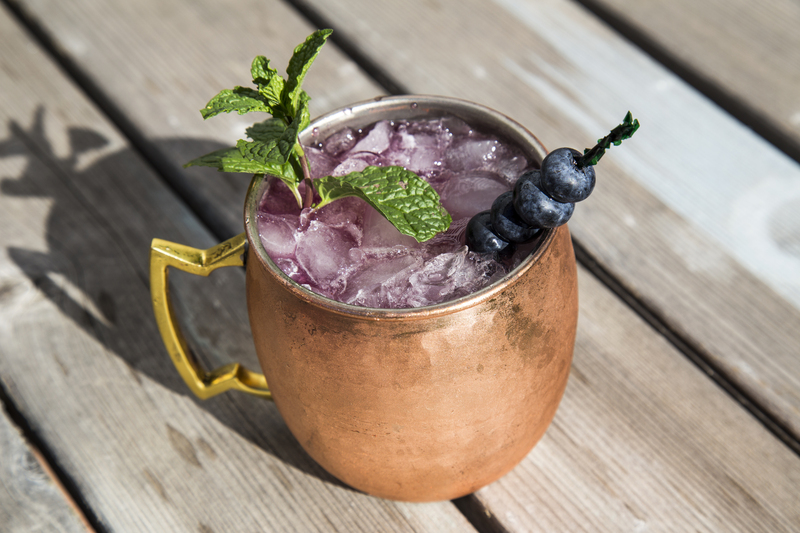 Place the fresh blueberries and mint leaves in the bottom of a Boston shaker. Muddle the leaves and fruit together. Fill the shaker with cubed ice and add the vodka and lime cordial. Shake a good 10 to 15 seconds to really mash everything up. Fill your Moscow Mule mug with crushed ice. Double-strain from the shaker into the mug. Top with ginger beer and then garnish with a mint leaf and fresh blueberries.